Is SEO dead or has it enough in tank to survive some more years ahead? This kind of question has risen in intensity in the last two years. Why? Because, content marketing has emerged and become popular in the meantime. So, should we trust the talks of whether SEO has been replaced by a new discipline? Not really! We should never pay heed to that line of thought and rather look at the plus side of the debate. It’d be wrong to assume that SEO has ceased to exist in the wake of the emergence of content marketing. Rather, you’d feel surprised to know that both the disciplines have a lot in common and can work together to a great degree. Yes, it’s possible that your online marketing strategy combines the virtues of SEO and content marketing together to turn as much effective as it should. Before blending both these disciplines together, it’d great if key differences between them are known. Why SEO and content marketing needs to work together? We know SEO is much more than just content and it involves uses of URLs, title, ALT tags, links etc. 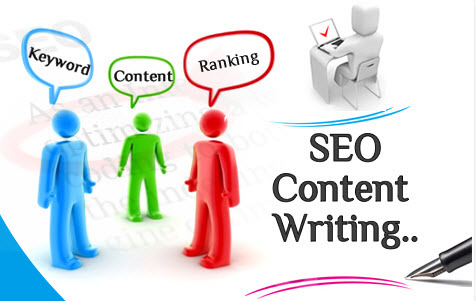 But we also know that optimizing the content is one of major activities in it. We can clearly see that there exists a need for SEO and content marketing to work together. So, if they did, it would be great for the business taking the initiative in this regard. Well, you are now aware why it pays when your optimization efforts and content strategy are aligned together. This can give a real boost to your marketing efforts. But the question is, how to combine the virtues of optimization and content together and realize the true worth of your online marketing? Well, you need to seek expert help. Gone are the days when you created any kind of content and it fetched good results in search engines. This strategy won’t work anymore. Search engines have tightened the screw around marketers peddling bad or substandard content to gain ranking and visibility mileage. From now on, your content should have quality, it should add value to users and above all, and it should inform and enrich users. In a way, the content you create should have SEO in focus. Fresh and original content having quality this becomes the need of the hour. The times have changed, at least in terms of rankings. What worked earlier and won you superior rankings and better traffic won’t do the same anymore. In content terms, you need to rise above the topical and keep long-term traffic goals in mind. Which means, all your content across channels should be produced keeping in mind its sustainability over a period of time. So, traffic, ranks, links etc. might stagnate if the content is time-specific rather than generic in nature. That’s why articles offering advice, help, and guidance fetch better results in search engines. You just can’t write anything and hope to get better rankings and superior visibility in search engines. Rules have changed. Now, keyword analysis is important and it’s a key ingredient of SEO efforts. Which means, your content should be written keeping popular search terms in mind. This is possible only when you do engage in keyword research and find out what is trending among users. So, the content should have a sprinkling of relevant keywords or phrases so that it can match the standard set by search engines. Popular keywords and phrases tend to be volatile in nature. Which means, they change according to the changing search preferences of users. So, if you let your content with stale search terms, it would soon lose the relevance in search engine results. Further, keyword research is an on-going process and you need to track the performance of popular terms you have employed in the content. This is how your content and optimization efforts will combine to fetch superior marketing results. Links are something you can’t ignore. Yes, backlinks are important and the more you get them, the better it serves your website in terms of ranking and visibility in search engines. So, the focus of your content strategy should be based around grabbing or acquiring links. If quality is there in the content, then backlinks will happen. Beyond quality, there is no secret recipe to win backlinks. So, continue delivering quality and win links. Internal linking serves two major purposes – first, it give superior user experience and second, forces search engines to crawl your site more effectively. So, you should go ahead with having internal linking in the content so that users can be guided towards better and relevant content. This is how your optimization and content creation efforts can combine together to augment the value of your marketing efforts. In a nutshell, we can see how both the disciplines – SEO and content marketing – are important and businesses should blend the virtues of them together and gain superior marketing results. I am Sid Garg an SEO specialist with years of experience of the domain. I consult and guide brands on planning, execution and implementation of best SEO Service to help them with rankings and visibility. Currently, I am employed with Mind Digital Group.